I came across the Pliny the Elder iPhone case/ bottle opener you see above while visiting Russian River’s website to order one of the company’s goblet glasses. It costs $25 plus shipping, which is reasonable. Unfortunately the Pliny iPhone case/opener is only available for the iPhone 4/4S—no iPhone 5 model yet, though I’m sure iBottleOpener.com, which makes the case, will update its product line soon. 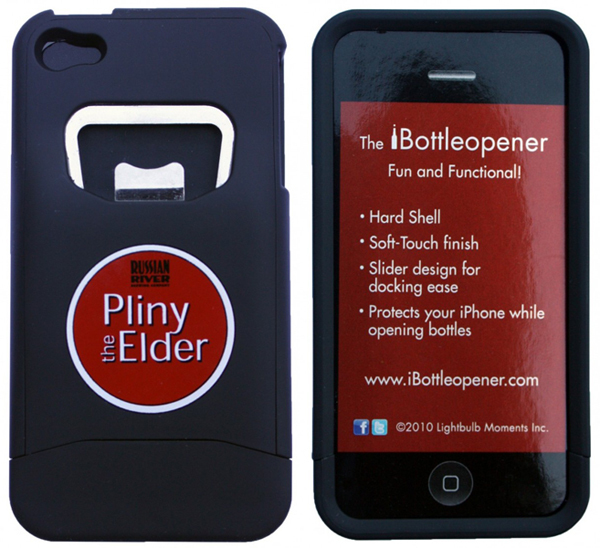 Tagged bottle opener, bottle openers, IPA, iPhone, iPhone cases, Pliny, Pliny the Elder, Russian River Brewing Co.